Saint Joseph school officially opened in the fall of 1953, with 178 families in the Parish and with approximately 160 children enrolled. Conducted by the Dominican Sisters of the St. Cecilia Convent, the faculty consisted of five teachers with Sister Josephine, O.P., as the first principal. Consistently increasing enrollments made it evident that more classroom space was necessary. A four-classroom addition was built in 1957 at a cost of $40,000. As growth in the Parish and School continued, more room was still needed. In 1959, ground was broken for a new church and rectory; the existing church was converted into four additional classrooms. By the time the project was finished in 1961, there were 535 families in the Parish. The faculty then consisted of 12 teachers; Sister Augusta, O.P. was the principal. A gymnasium and a new cafeteria were built in 1965, with still more classrooms replacing the old cafeteria and with a new library in the former kitchen area. 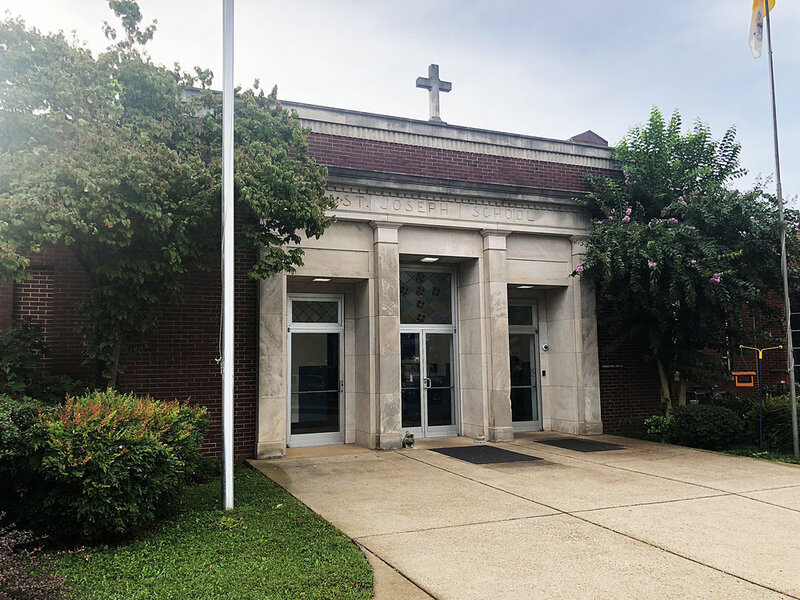 In 1981, with Father John Cain as Pastor, the west wing was added providing a larger library facility and kindergarten classrooms, as well as an area for a religious education center. In 1984, the playground area was renovated, and new play equipment was installed. The year 1990 witnessed further improvements to the recreational field and the conversion of some partially utilized space into a computer lab. In 1998, the school underwent a major renovation in which two classrooms were added. In addition, the administration area, 12 classrooms, the restrooms on both floors, and a handicap access to the church, were all renovated. The entire school received new roofing, new flooring, and cabling which will enable all-school networking. As in the case with all buildings, constant renovations are taking place to keep the facility bright, clean, and in good condition. The Saint Joseph family of students, faculty, staff, and parents have made use of these facilities not only for educational and religious purposes, but also for other related organizations, civic, and recreational events. St. Joseph School is a quality Catholic education choice in the greater Nashville area, and draws students from Hendersonville, Nashville, Goodlettsville, Madison, Old Hickory, Greenbrier, White House, Whites Creek, Springfield, Gallatin, Antioch, Cottontown, Cedar Hill, Joelton, Murfreesboro, and Brentwood.